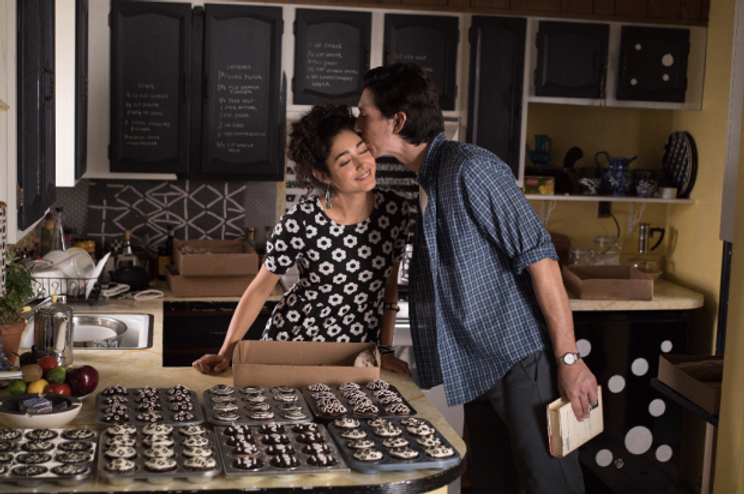 Jarmusch’s Paterson is a poem to life, a song that celebrates the mundane things in life. Hence, the film tempts me to write of it in a litarary sense, in a way that fully appreciates the poem that it has not only created by embodies. Let’s begin by discussing the main character, Paterson’s seemingly insignificant occupation, him being a bus driver. The bus, often housing people from all walks of life, is essentially a symbol for life itself, a melting pot not only with culture, but with personalities and characters, and I find this really fitting considering Paterson”s capacity as an ode to life itself. The main character’s occupation as a bus driver as helps it avoid the general Hollywood character stereotypes of glory and adrenaline, but instead, creating a platform for us to see the commonalities in people, to see the people in our daily lives who we usually forget, and that’s precisely what sets Paterson apart not only from other slice-of-life films, but other films in general, because as other films romanticise aspects of life, Paterson shows us the reality, and the beauty of this reality, making us truly reflect what we’ve been disregarding in search of what we perceive to be a “better life”. The film is also unafraid to portray love in a non glamorous way, in a way that almost seems quaintly awkward, but reminds us that love is something that isn’t owned by the big screen with its fast paced sequences and dramatised scenes. It belongs to everyone. Patterson and his wife had a love that truly belonged to them, it wasn’t some cheeky action-packed love story that glorifies and advertises the reason why the couple loves each other. It instead, is a nest of feelings that truly, sincerely belonged to Patterson and Laura, feelings stemming not from what the two appear to be, but what they are, deep down. It is this unique depiction of love between two distinctly different characters that makes the audience truly relate to the characters and the film. The editing of the film is wonderful, with the slow dissolving of shots into the running water representing the serendipity and poetry of the flow of life. Other than those unique and specific shots, the entire film takes a nod to the auteurs of the French Impressionism era, structuring a masterclass in character subjectivity, extensively using the Kuleshov Effect combined with Adam Driver’s nuanced performance to truly “show and not tell”. Despite there being minimal dialogue in the film, never has there came a point where the audience is left wondering what Paterson’s thoughts or motivations were, everything seemed so clear to us, precisely due to the nature of the film’s masterful editing. In conclusion, Paterson is a gem of a film, revolutionising the idea of a “Slice-of-Life” film, reinventing the rules of cinema and showing us how a film without a character change or rising stakes, with basically nothing eventful happening for the entirety of the film can still be so profoundly entertaining and mesmerising. – Adam Driver went to bus driving school for his role in the film, even before the production crew arranged it for him. – Paterson was nominated for the Palme d’Or at the 2016 Cannes Film Festival. – Director Jim Jarmusch wrote a treatment for the film almost 20 years ago. – The poems in the film came from Ron Padgett who agreed to write the poems for the film and let Jarmusch use some of his pre-existing poems. – The dog in the film, Nellie, won the Palm Dog ( Palme d’Or for dogs) for playing Marvin. – Some dialogue in the film were based on real conversations that director Jim Jarmusch had heard before in real life.